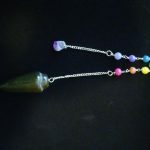 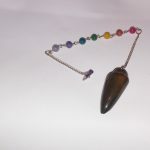 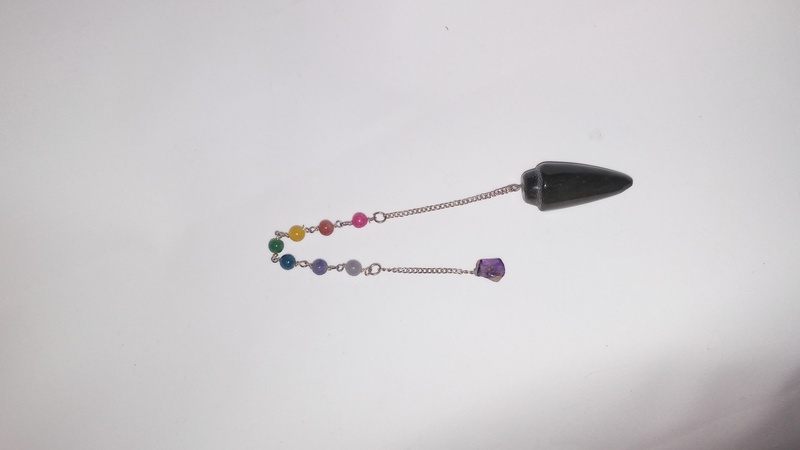 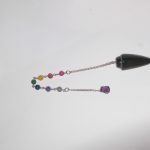 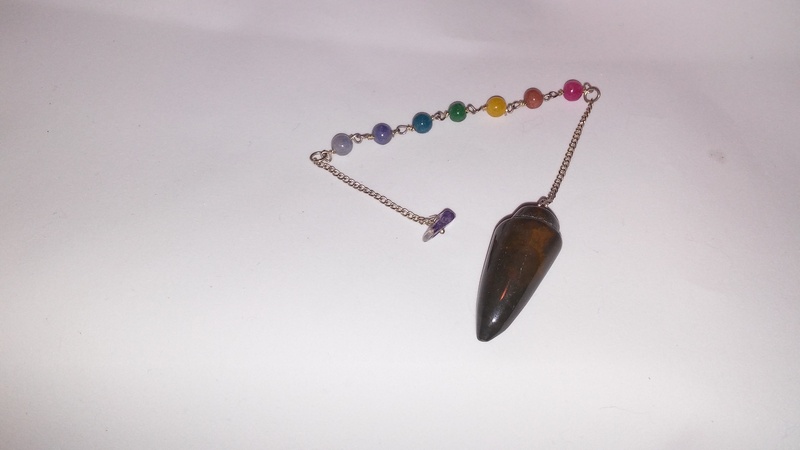 Seven round chakra beads incorporated in the chain, polished stone bullet style tip. 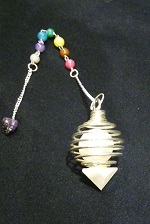 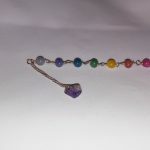 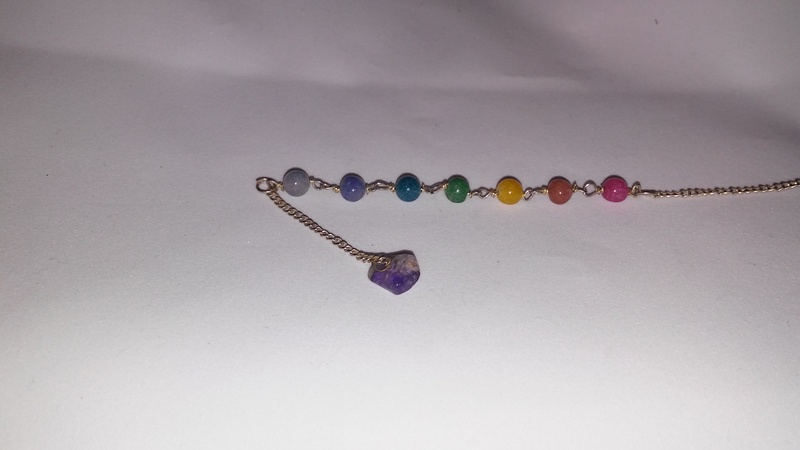 Stone bead at top of chain. 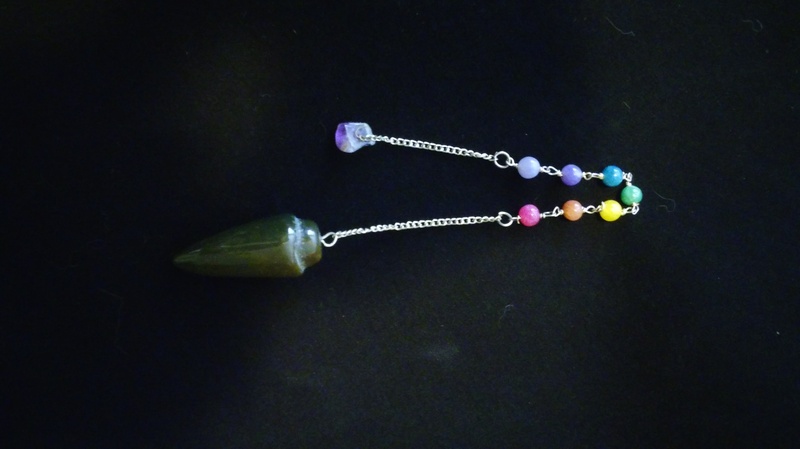 9 5/8″ overall length.